One of the best ways to show someone they are special is to make them a Christmas gift. You and your kids can pick from this list of ideas to make Christmas gifts for family, friends and other special people. Looking for some new ideas for celebrating Christmas? Or want to find out more about the history of our Christmas customs? Don't forget to check out these great kids gift ideas. Some of the best gifts can't be bought in a store. Families treasure these one-of-a-kind gifts made by your child. Handprint Apron - children's handprints decorate an Apron. Ornaments - hand print ornament that makes a great family gift. Box of Kisses - fun idea for a gift from a young child. 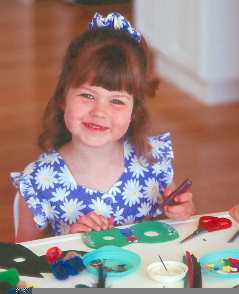 Painted Fabric - Decorate your own clothes or make gifts for family. Beads - Craft idea to make a frame for a special picture. 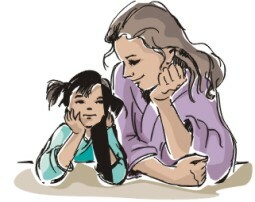 Memory Book - a special book that will be treasured for years to come. Holiday Book - fun idea to create a unique keepsake of a special day. Desk Organizer - great gift for parents. Joy Jar - create some fun memories with the people you love. Bookmark - this gift will mark a special place in Daddy's heart. Bath Soaps and Bath Salts - Kids can make these bath products. Child's Drawing - unique gift that is fun and will be well loved. Read these gift ideas sent in by our visitors. You will be inspired by these stories of a favorite gift they received as a child. 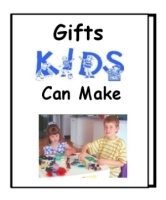 Use these ideas and let your children give their friends gifts they have made themselves. Lip Gloss - Girls can make their own lip gloss with this recipe. Homemade Toy- make your own hovercraft like vehicle using a balloon. Snake - make a felt snake that can slither and bend. Treasure Balls - Fun to make and fun to break. Wool Friends - easy to make craft and play with. Painted Fabric - Decorate your own clothes or make gifts for friends. Putty - Fun to play with by kids of all ages. Cup Cake Cones - Too cold for ice cream? Bring these cones to a party! Beeswax Candles - easy to make and these gifts smell delicious! Cookie Plate - easy gift that is one of kind. Looking for some new ideas for celebrating Christmas? Or want to find out more about the history of our Christmas customs? Many families are creating new customs for celebrating Christmas. We'd be happy to share some of these ideas. Let us know if you have any craft or activity ideas that children love for Christmas. We'll share them with other visitors to our website. Send us a note if you have any questions.